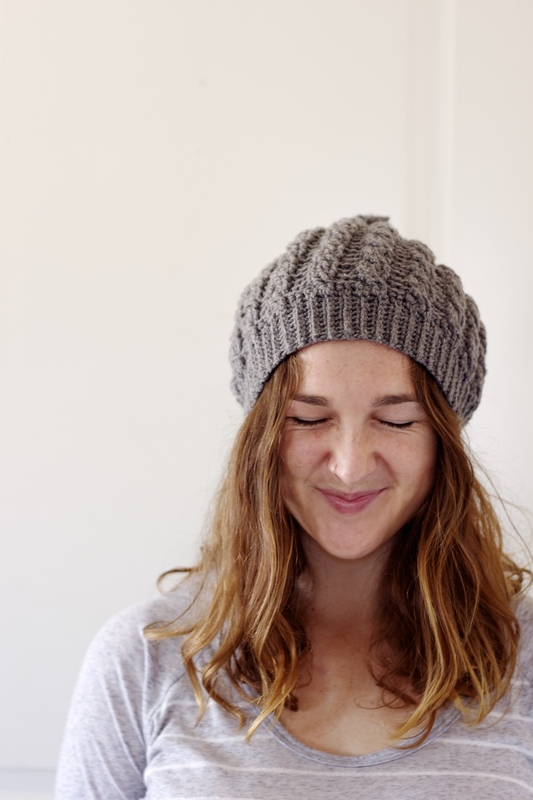 Introducing the Cabled Slouchy Beanie by me – originally by Stephanie at AllAboutAmi.com. 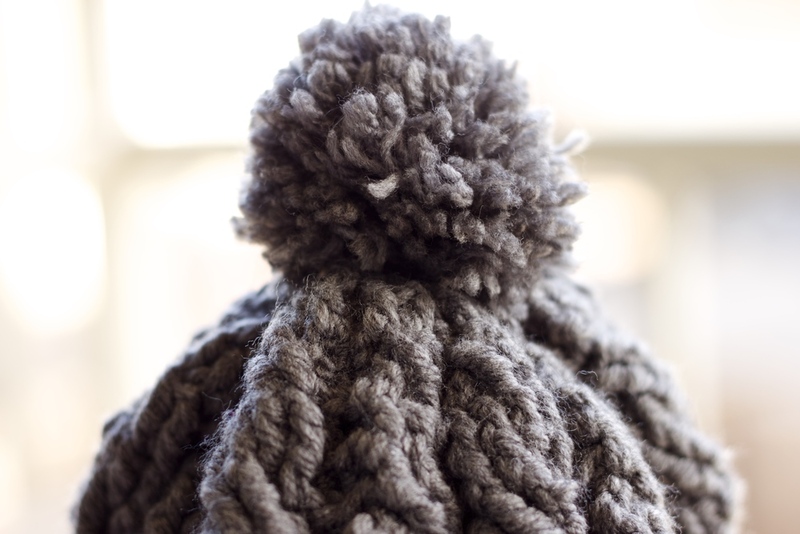 I decided to make this pattern, one, because it's so freaking cute and I've been desperate for a new beanie and, two, because I felt like it was high time for a challenge in my crocheting career. I was fair-warned ahead of time that this was not a pattern for beginners, and it truly was not, but I took the plunge any way. The majority of the stitches were foreign to me, but thanks be to YouTube, I quickly learned how to do them. I believe I did made a tiny mistake through the whole of the pattern, but luckily it isn't too noticeable – I won't spill the beans on that one because I don't want to look like too much of a dork. 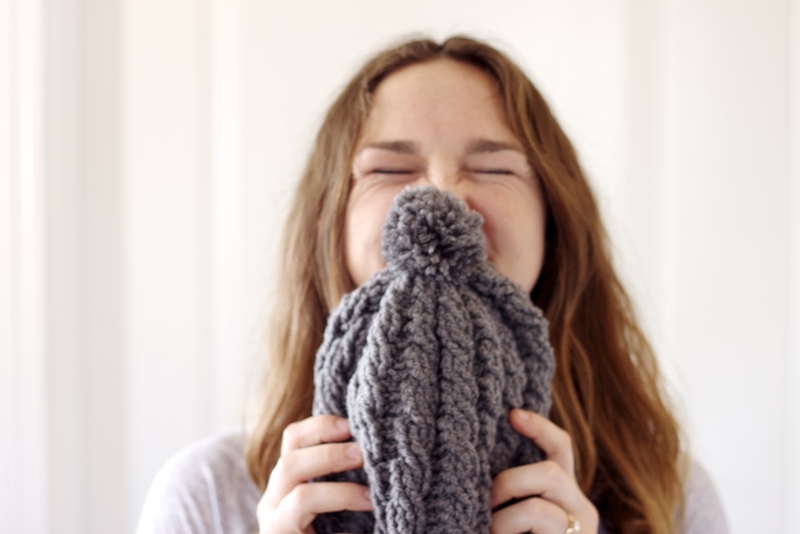 My advice to any crocheters reading this post is GO FOR IT! This may not be a beginner's pattern but any beginner can learn how to do it, and that's the truth. 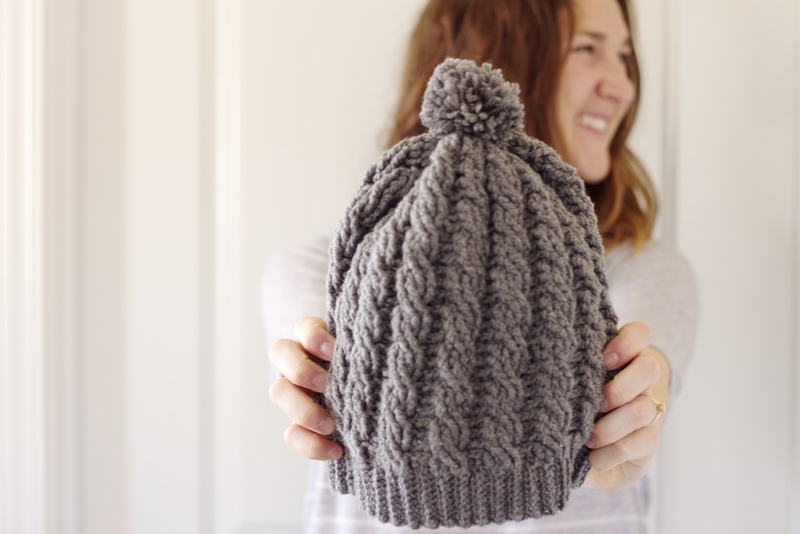 Click the link below to find the free pattern!